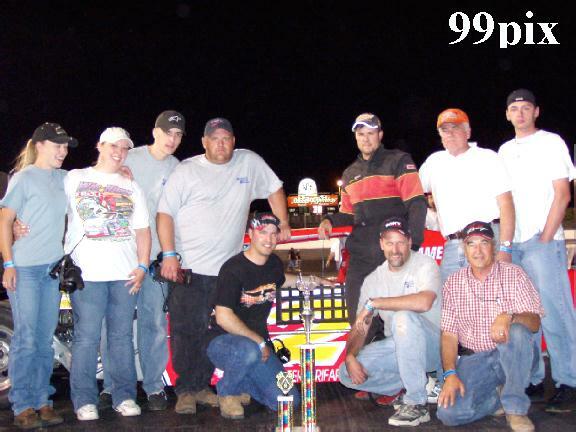 Dave Byrd, #9, of Pacific Grove captured the Western Late Model main event Saturday night at Stockton 99 Speedway. 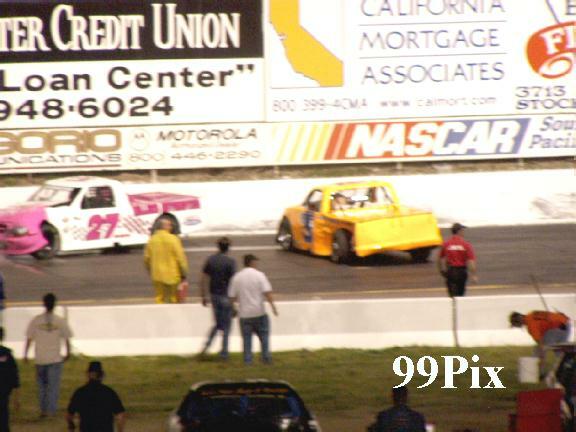 Byrd, who also won the trophy dash, led Mike Garcia, #57, of Lodi and Guy Guibor, #61, of Manteca over the finish line. Garcia led the first 3 laps and hounded Byrd all the way to the finish line. Guibors' third place finish was his best yet in the Western Late Model division. Chris Monez, #11, of Turlock was the fast qualifier and finished fourth in the main. Michael Wendt, #2 of Lodi broke a tie rod on the back straight and ended up on the turn three crash wall only to end up stopped on the front straight! Michael wasn't injured in the mishap. 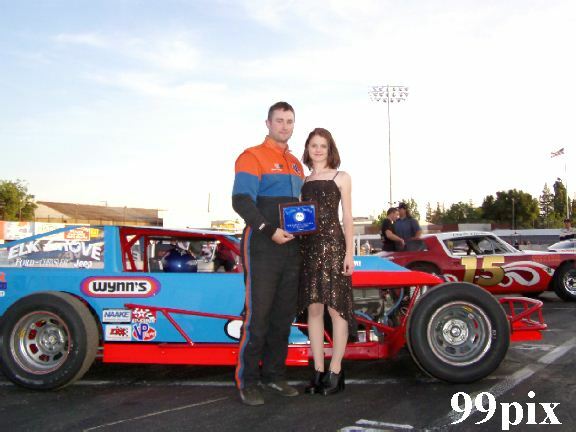 Jason Kirby, #2, of Galt won the Grand American Modified main event and was also the fast qualifier. He missed the sweep when Sacramento's #5, Jason Philpot won the trophy dash. 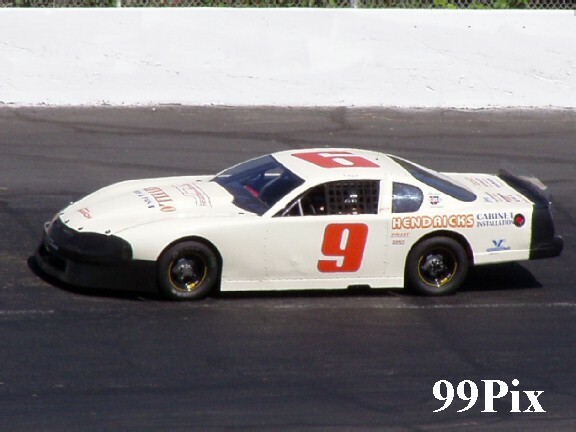 Philpot finished second in the main event, followed by Ted Montague, #34, of Freemont, Angelo Quierolo, #100, of Ripon and Jay Linstroth, #10a, of Citrus Heights. In the Legends main event, Jeremy Wood, #22w, of Tracy took the checkered flag ahead of Mark Bailey, #40, of San Lorenzo and David Winchel, #0, of Sebastapol. Wood was the fast qualifier and Ryan Mosher, #52, won the trophy dash. In the Pure Stocks, last week's winner, Charlie Clawson of Modesto, #15, led all but 4 laps, but was not given the win. After the post race tech inspection, he was disqualified for an illegal motor. 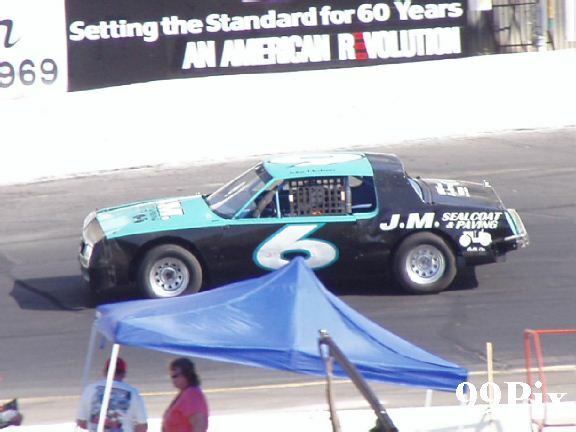 John Medina, #6, of Galt had driven to second place, but was awarded the win by default. Second place went to #04, Tom Dahl of Stockton, 3rd to Steve Hall of Manteca, 4th to #83 Bob Simpson of Stockton and 5th to #5 Richard Harper of Stockton. The Pro 4 Trucks had last week's winner #4, Brandon Trevethan of Tracy, leading the first 9 laps, but #2, Todd Lewis passed him to go 21 laps in front for the win. On lap 18 points leader Carrie Miller had no place to go and slammed into a spun around and stopped, #3, Ron Robeck of Milpitas. It put Miller out of the race but #3 was able to continue. Danny Basto of Lodi made #64's debut and finished 3rd! 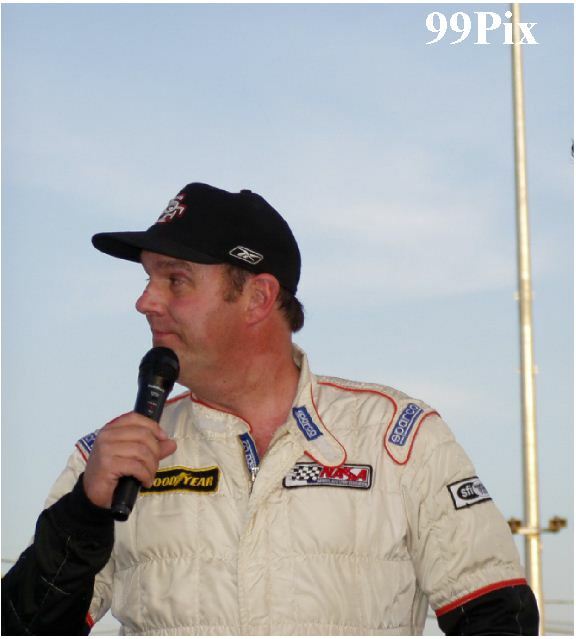 STOCKTON, CA., APRIL 10: Dave Byrd scored his second consecutive win at the Stockton "99" Speedway in NASCAR Western Late Model action. 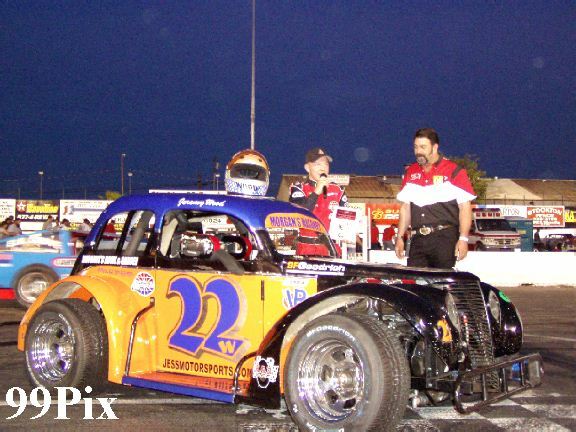 The Pacific Grove veteran took the lead following a caution flag on the third lap and raced to his 40th feature win at the famed quarter-mile paved oval. Chris Monez of Turlock led off the 30-lap event from the pole. Following a third-lap tangle between John Moore and Guy Guibor, Byrd took over the top position. Lodi's Mike Garcia finished second with Manteca's Guibor climbing back to place third over Monez and Orangevale's Mark Welch. In the Grand American division, Jason Kerby of Galt took the hard-fought win over Sacramento's Jason Philpot. Philpot took the initial lead from the pole, but gave way to Jay Linstroth of Citrus Heights on the fifth lap. Following a caution period on the 14th circuit, Angelo Quierolo and Chris Mays joined the fray, dropping Philpot from the lead. 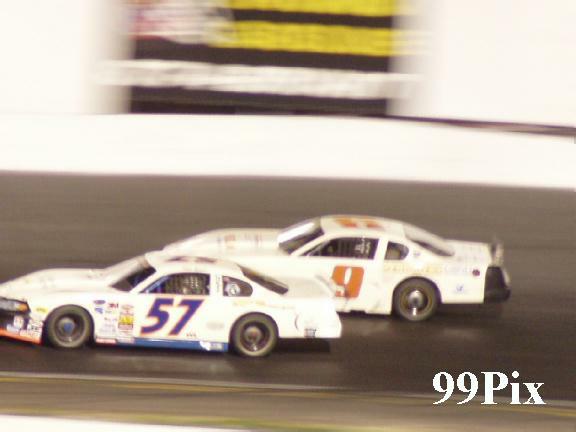 Kerby moved into the front-runner battle, overcame Philpot, and on the 18th lap charged into the lead. 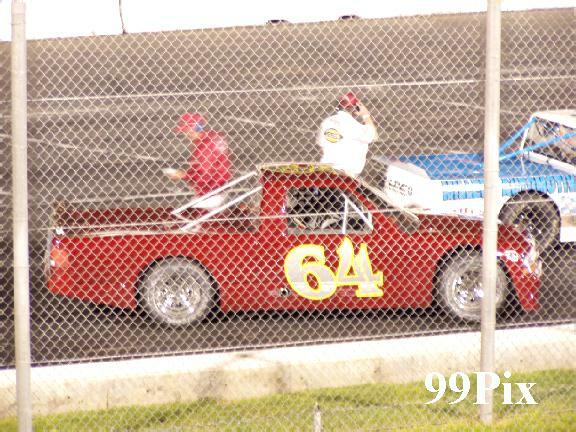 Following Kerby and Philpot at the checkered flag was Ted Montague of Newark and Ripon's Quierolo. The third-time was not the charm for Modesto's Charlie Clawson. 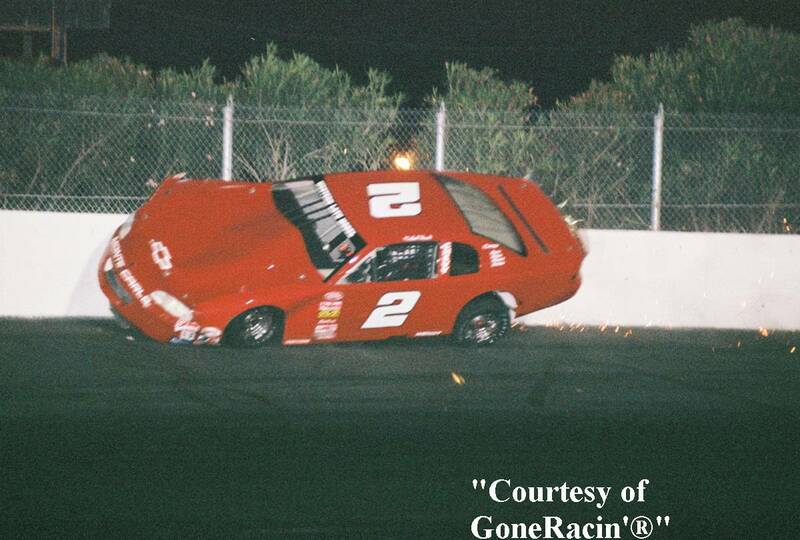 Streaking to his third consecutive win in the Pure Stock main event, he was disqualified by NASCAR officials for illegal cylinder heads on his stock car. The penalty awarded second-running John Medina of Galt the win with Tom Dahl of Stockton placing second. 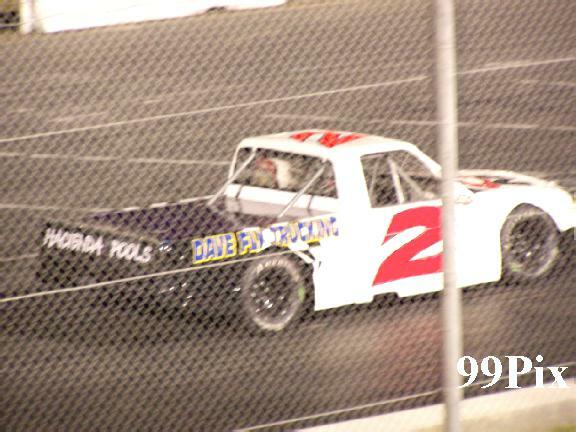 The win in the Pro-4 Truck division went to Todd Lewis of Riverbank over San Jose's Chris Drysdale. 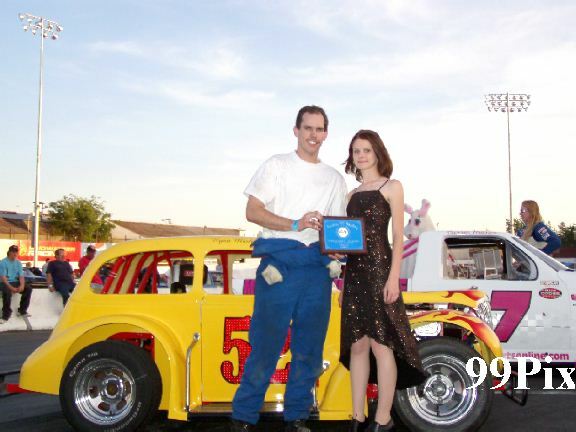 The popular scaled-down pre WWII styled Legend car feature was taken by Jeremy Wood over Mark Bailey. 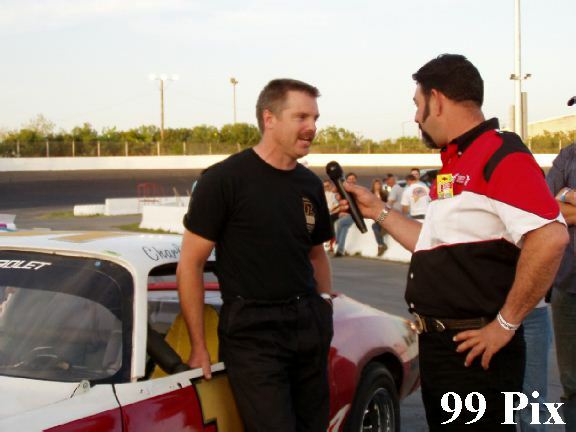 Action continues next Saturday night at the Stockton "99" speedway with all five divisions.